Offering an intensely evocative and aptly titled narrative, Dancing with Death both guides and inspires, armchair adventurers as well as venturesome travelers to the jungles, seas, people and cultures of the world’s “roads” less traveled within the beautiful panoramas of Latin America. Co-authored by co-adventurers Jean-Philippe Soulé and Luke Shullenberger, this dynamic read memorializes not only their experiences during their expansive sea kayaking journey, but also serves to help bring awareness to the cultures and history of the seldom seen or noted native peoples they encountered. From the start, the story treats the mind to the emotions and visages entwined in this thrilling narrative which memorializes the unforgettable and awe-inspiring expedition by sea touted as a one of a kind undertaking. Author, guide, and adventurer Jean-Philippe Soulé accompanied by fellow adventurer and able friend Luke Shullenberger find themselves and their kayaks sorely tested by weather, tides and their bodies as they paddled thousands of miles braving often life-threatening conditions including near drowning, malaria, shark attacks, crocodiles, guerillas, armed bandits and corruption during their one of a kind undertaking. The overall journey spanning three years, 3000 miles and seven countries included Baja, Belize, Guatemala, Honduras, Nicaragua, Costa Rica, and Panama. The expedition fully titled as the Central America Sea Kayaking Expedition 2000, but also known as the CASKE2000, was a quest intended as an effort to connect with, learn about and preserve in writing the history of the self-reliant, indigenous peoples and their respect for and relationship with the earth. In Written in Blood, author Green introduces readers to Detective Joe “Preach” Everson. Following a common path, Green has given readers a flawed protagonist, though Preach’s baggage goes well beyond the ordinary. After suffering a tragedy as a young man, he had a sort of breakdown and fled his hometown of Creeksville, North Carolina. His life path from then until the book opens took him to Bible college, time as a church preacher, a prison chaplain and then as a police officer in Atlanta, where another incident led to another breakdown. Here we reach the first thing about the novel that just doesn’t quite work. Pearch has returned to his hometown and has been hired as a police detective even though he has not been cleared to work from his breakdown. He promises to see a therapist who happens to be a relative. One has to question what police force would hire an emotionally unstable person as a detective and what therapist would risk his or her reputation and licensing to sign off on a deeply troubled soul who has suffered at least two emotional breakdowns to serve as a detective. But let’s accept this as written for the sake of the story. My second trip with Mr. Bryson as he walked (mostly) along the roads, walkways, and streets of England. His writing can sometimes become a bit tiresome or boring as it basically has no dialogue. It is strictly his comments and descriptions of the places and scenery that he passes. However all of it is also laced with humor and smart-alec asides (usually that he keeps inside and doesn’t express outward to whomever he is jostling. A quick example, “..about the Internet. It is just an accumulation of digital information, with no brains, and no feelings…just like an IT person, in fact”. All the while he is exploring and walking he is chiding the people of England as well as the people of the United States. Bryson does have dual citizenship as he was born in Iowa and after meeting his wife while on an excursion in England years ago he decided they would live in England eventually. As a starter he claims the British do strange things in their handling of roads and zones. He says it is not to confuse foreigners at all. They do it to confuse themselves. He does quite a dissertation on some examples. Also he tells about a secret U.S. training mission in Slapton Sands in 1944 but somehow the Nazis had U-Boats in the area and killed close to 1000 American soldiers on landing crafts that were practicing and not actually in combat! It was one of the most lopsided routs of the war as far as America was concerned. The entire book is filled with bits and pieces of very interesting information about the idiosyncrasies, occurrences, and people of the British Isles. Not that it is derogatory in any fashion but basically a great telling of tales that have occurred over the many years that England has been a mighty nation in this world. 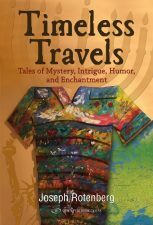 Bryson has written many books and mostly they are about his musings as he travels in places all over the world. Not too long ago a very good movie was made about another of his walks……it was called A Walk in the Woods and it was a good look at Bryson and his lifestyle I guess you would say. It won’t be long until I dig into another of his writings because he is very informative, funny and, though not too easy sometimes to read, very entertaining. Try this one and you will see!!! Readers meet Erica Sparks as she is about to embark on a new career with the country’s fastest rising cable news network, Global News Network (GNN). We soon learn that Erica is a bit like the Phoenix, rising from a personal rock bottom. She has been sober for more than a year and is hoping the new job will allow her to again be a parent to her daughter. When Erica arrives at work, she notices that most of the people are guarded, secretive and highly competitive. She soon learns that this is because the president of GNN is a master at pitting his people against each other. A rising star today means someone else is on the way down. Erica is the newest in a line of rising stars. With Good Morning Diego Garcia: A Journey of Discovery (Journeys – Book 2), talented author Susan Joyce relates her further memoirs, which she began in The Lullaby Illusion: A Journey of Awakening (Journeys – Volume 1). The result is a fascinating book, combining the genres of memoirs and travel books, relating the author’s further adventures, when she and her husband, Charles, are invited by friends to travel in a yacht they are breaking in on its maiden voyage, and they travel to many exotic locations. Like in the first book, the author undergoes an internal journey of self-discovery as well as experiencing the journey of a lifetime places many people only dream of seeing. Good Morning Diego Garcia begins with the narrator and Charles back in Ojai, California, after having spent a tumultuous time in Cyprus, living through the 1974 coup and war there. The couple are settling into a house they have rented, with Charles waiting on his old job to call him back and let him know work is available for him. They do not seem to be worried about financial matters very much, as Charles has money socked away in at least a couple of bank accounts for them to get by on. If you are looking for a different kind of a travel journal, you might want to take a look at Ox Herding: A Secular Pilgrimage by Jackie Griffiths. Unlike the classical books of this genre, this novel takes you on an expedition to the previously untouched continents of a person’s psyche. Just as the title suggests, this book is based on the Ten Ox Herding Pictures which are as Jackie Griffiths explains herself: “a Zen Buddhist philosophical classic that depicts the journey to enlightenment through ten distinct and progressive stages of spiritual development”. In fact the author gives us a brief description of these stages in the Introduction section. Although she admits to having doubts about her interference in the reader’s comprehension of her text (“I write this introduction with great trepidation, acknowledging that I’m running the risk of attracting attention to the finger pointing at the moon, rather than to the moon itself”), I find that some of the associations and explanations she puts forward here are necessary. The most useful intervention she had was introducing the reader to the Ten Ox Herding Pictures. Without this, much of the meaning of the novel would have been lost to me. However, going into the actual plot of the novel in this context seemed unnecessary to me. How would someone who lived almost two centuries ago react to waking up today in America? What if that someone was the legendary Huckleberry Finn? Huck had difficulty with the societal rules of his own time period so how is he going to handle the technology and transportation of the 21st-century? At the conclusion of Mark Twain’s The Adventures of Huckleberry Finn the readers find Huckleberry choosing between living his life and following the rules established by his Aunt Sally or to run away to Apache territory. Naturally Huck chooses the easiest one and explores America’s southwestern region. He quickly discovers that he does not enjoy hot climates. Seizing an unusual opportunity, Huck invests his money and himself into an expedition to the Arctic. During this time, there were not successful Arctic explorations. The expedition has their ship wrecked and the survivors set up their camp on a glacier. Exploring the area, the last thing Huck remembers is falling through the ice. Huck awakens about 170-years later on a table connected to various tubes and wires. A scientific team has successfully thawed and completely revived this teenage-age boy. While the medical staff dreams of how this remarkable feat will change their lives, Huck dreams of his freedom and is feeling confined and imprisoned. However what the scientists don’t realize is the natural capabilities of Huckleberry Finn. Huck has never handled rules and regulations in his own time. Now a medical team will likely want to continue to study him. While moving Huck by train, he manages to escape. Life has given him a second chance and he plans to take it. How does someone from 170-years in the past hide? If anyone can succeed at this task, it would be Huckleberry Finn. Huck quickly discovers that the world has changed during his deep freeze. Accustomed to being extremely self-sufficient, survival is not difficult for Huck since he knows how to camp, fish, hunt and to live in the wild. How will he stay hidden? How will he fit in? One of the first lessons for Huck to learn is the people in the twenty-first century wear shoes when in public. Huck observes three boys playing “rounders” which is similar to the game of softball. Once Huck asks to join the game, he quickly learns that life in the twenty-first century is quite different from daily life in the nineteenth-century. Huck knows that the medical team will be searching for him. This causes him to adjust to this century so that he doesn’t seem different. Also, he now calls himself Mark Finn. Dealing with cell phones, high-definition flat screens, automobiles, and life for teen-aged boys in today’s world is a complete shock to Huckleberry. For the never flustered Huckleberry Finn of the 19th-century this is a challenge that he completely understands. Will he be recaptured and for the rest of his life be studied as a medical experiment? How will he get along with today’s teens? 21st Century Adventures of Huckleberry Finn is a wonderful adventure in friendship. Rough and tumble full-action adventure story written by an Englishman about tough guys in a battle “royale” that carries them across the U.S. and even into England. Joe Hunter, the hero, is retired English army who now resides in the states and is in constant pursuit of bad guys. He doesn’t have any known means of employment but he does work with the various agencies of U.S. intelligence in pursuit of various known criminals. The main man that appears to be the major conspirator throughout this and several other books by Hilton is a man known as the Harvestman. Martin Maxwell, his real name, not only kills those he pursues but he always takes pieces of their bodies. Normally bones, such as fingers, toes, and such but he has been known to take other pieces of the body, usually before actually killing the victim. What do you do after you flunk out of college? Some people get a job, some join the military, some move back home to continue to live as children, and then there are the few who are daring enough to take to the road. For a young woman, the idea of hitchhiking can be threatening, but with a little luck and learning who to trust, what a thrilling way to find out about themselves and to learn some life lessons while becoming what is known to hitchhikers as a “road dog”. R.K. decided that she wanted to see the country. With few financial resources, she departed from her mother’s home for a life of possibilities, deciding to hitchhike along the way. One of her first rides was with an old man who was drinking. After being rescued by the police, she made the decision early on to never ride again with someone who was drinking. She quickly discovered the world of the Rainbow Gatherings around the country. Either walking, riding with acquaintances, or hitchhiking she found a way of life that perfectly matched her current ideals. This communal gathering excited her with the gypsy lifestyle at first, taught her much, and allowed her to discover certain qualities in herself and others. Along the way she met many generous people and managed to travel with two extraordinary dogs for companionship and protection.